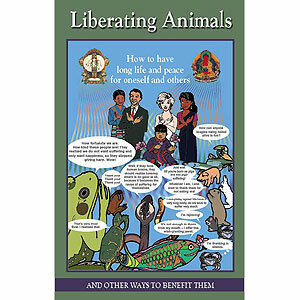 Liberating Animals from the Danger of Death and Other Ways to Benefit Them, is a profound method to prolong life and cure sickness. Relying on the truth of cause and effect, practitioners make special effort to give life and benefit to helpless creatures that are on the verge of being killed. By performing this powerful practice, we not only save these beings from immediate suffering, we also create the cause for their attainment of better future lives, from life to life to full enlightenment. 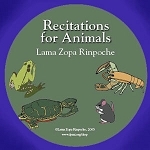 The book also contains many practices and mantras that can be done to benefit living and sick animals. 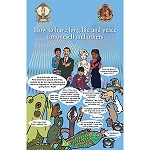 Download the powerful mantras for the time of death. See instructions on pg. 132. Spiral binding. 180 pages, 2009 edition. Highly recommended to go with this book: Animal Liberation Tools set, one for each hand to catch small insects in so they can be removed from your house without injury. 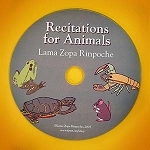 Designed by Lama Zopa Rinpoche these bug catchers are not your ordinary bug catching jar! Covered with mantras that benefit the bugs and quotes which benefit the humans, these unique tools of the Buddhist trade will not to be found in any store!! Tools are provided on flat card stock and required simple assembly.